Our mission is to provide the very best, personalized chiropractic care and give you the individual attention you deserve! Your care consists of: individualized programs tailored to your needs, using only state of the art chiropractic adjusting techniques, using muscle trigger-point therapy and orthopedic supports. Dr. James J. Flood, founder of ProHealth Chiropractic Wellness Center, has been serving the community since 1983.. He is a graduate of New York Chiropractic College and licensed in the state Maryland with both chiropractic and physical therapy privileges. He has extensive training in the correction of low back disorders, neck pain, whiplash injuries and sports injuries. Dr. Flood has a special interest in treating headache patients. He suffered with migraines since the age of five. “I tried every medication available but the headaches always returned. Chiropractic is the only treatment that actually got rid of my migraines and that’s the main reason why I decided to become a Chiropractor.” states Dr. Flood. Married with four children, Dr. Flood is an active member in his community. He is a member of the Lions Club and Team Network Group. 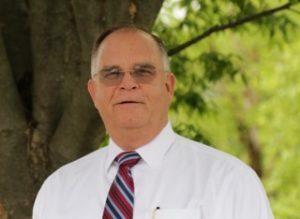 He has lectured on Success and Goal setting to high school students and speaks throughout the community on health, wellness and the prevention of illness. He was voted Chiropractor of the Year in 1987. His philosophy is that health care is a partnership between doctor and patient. He feels that listening to the patient and learning about their lifestyle can give great insight as to why problems develop and how they can be eliminated. Each patient is treated as an individual and a program of care is designed specifically for them based on an extensive history and a thorough examination. Dr. Darrel Asuncion took a different approach to healthcare and education after suffering his own injuries in a car accident as a teenager which left him with neck and low back pain for many years. Not wanting to take prescription medications or turn to surgery, it was during this time that chiropractic care proved to be an effective treatment option for his pain. With such a positive experience and a vision to help others achieve a better quality of life, he explored different avenues to promote health and wellness. 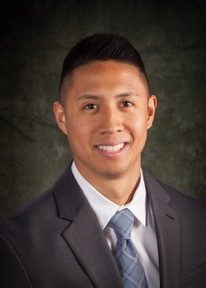 Dr. Asuncion obtained his Bachelors of Science degree in Kinesiology from the State University of New York at Cortland where he then pursued a career in personal training. Shortly after, Dr. Asuncion obtained his Doctorate in Chiropractic from New York Chiropractic College. He practiced in Ithaca, NY before relocating to Maryland. Dr. Asuncion grew up on Long Island and lived in central New York for years during and after his education. An avid exercise enthusiast, Dr. Asuncion enjoys participating in sports and seasonal activities. He enjoys being active and outdoors with his two dogs. Dr. Asuncion is passionate about helping the community get healthy through better function of their bodies. His focus is to reduce the body’s stressors to allow for enhanced healing. Through extensive examination, he concentrates his services on conditions such as headaches, migraines, TMJD (Temporomandibular Joint Dysfunction), neck pain, back pain, sciatica and shoulder injury. Patients can expect the best quality care and individualized treatment plans to best reduce stress to their body and mind.